The Board of Directors is composed of volunteers, who are committed to working with its partners and members to fully implement the mission of Consumer Health First. We are looking to grow and diversify our Board with passionate individuals who are committed to our mission to advance reforms that promote health equity through access to comprehensive, affordable, high quality health care for all Marylanders. If you share that passion, consider joining us. For more information and a Board member position description, click here. Beth is passionate about making insurance more responsive to consumers. She gained an in-depth understanding of the business operations of health insurers through senior executive positions with two large regional health insurers. Through senior positions in government, both at the state and federal level, Beth negotiated regulatory matters and policy issues with insurers, producers, providers, and consumers. As Acting Insurance Commissioner, she represented Maryland at the National Association of Insurance Commissioners. Beth worked to advance health care reform in Maryland implementing policies to give all small employers access to comprehensive health insurance benefits and consumers information about health maintenance organizations in the 1990s and implementing the initial insurance reforms of the Affordable Care Act while at the Maryland Insurance Administration. She received her doctorate in Sociology from the University of California at Los Angeles and lives with her husband in Annapolis. As Senior Director of Health Planning and Community Engagement, Anne manages certificate of need and other regulatory matters related to the State Health Plan for the Johns Hopkins Health System. In addition, Anne leads a community benefit reporting, planning and evaluation process for the six Johns Hopkins hospitals. In 2009, Anne helped establish The Access Partnership (“TAP”), a program designed to improve access to effective, compassionate, evidence-based health care for uninsured and underinsured residents of East Baltimore. More recently, Anne led the establishment of a medical oncology clinic in an underserved area of Washington, D.C. The clinic provides oncology consulting and treatment planning, as well as full-time navigation and support services to ensure that patients are able to engage in and successfully complete their treatment. Anne received her Master’s degree in Public Health from Johns Hopkins University, and her law degree with a certificate in Health Law from the University of Maryland. All of Anne’s work is informed by the three years she worked with children with disabilities and severe behavior problems and their families. 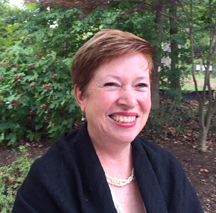 Mary Lou Fox joined Consumer Health First when the Maryland Women's Coalition for Health Care Reform was founded in 2006 and serves as its treasurer, as well as directing its information technology and communications. She has served on the Maryland Exchange Implementation Advisory Committee since 2012. Previously she served on the Exchange's Web-Based Entities Advisory Committee and the Navigator and Enrollment Advisory Committee. Her more recent volunteer commitments have included serving as a manager with The Climate Project, created by Vice-President Al Gore, and as Assistant Treasurer with the group, WE LEAD, a political action committee. Mary Lou Fox's professional career was in the software and services industry serving as Chief Operating Officer at NextLink and Senior Vice President at Manugistics. Widely recognized for her expertise in supply chain management, she was a frequent speaker at conferences and her awards included The Logistician of the Year from The Pennsylvania State University in 1995 and the Salzburg Concept Award from Syracuse University, School of Management in 1998. Her executive responsibilities included professional services, marketing and software development. She also spent several years teaching computer programming at Fairfield University. Madeleine Shea is currently a Principal with Health Management Associates, and was most recently the Deputy Director of the Office of Minority Health at the Centers for Medicare and Medicaid Services (CMS). She brings her expertise and passion for performance measurement, improving social health determinants and advocacy for disadvantaged groups to CMS OMH, where she develops infrastructure, policies, partnerships and programs to reduce disparities in access to health care, and in the quality and outcomes of Medicare and Medicaid coverage. Prior to her position at HHS, Dr. Shea was the Director of the Disparities National Coordinating Center for Medicare Quality Improvement Organizations where she led Medicare disparities analytics and the diffusion of evidence based interventions to reduce racial and ethnic disparities in chronic disease, adverse drug events, and preventive health care access. Dr. Shea was a lead architect for Maryland’s framework for health reform, which included developing performance measures from multiple data sources to chart the State’s and local jurisdictions’ progress in meeting population health goals. She coached local health improvement coalitions statewide on how to align their actions to meet locally determined health targets. Dr. Shea has held leadership positions in Baltimore City and the State of Maryland in healthy homes, asthma, HIV/AIDS and chronic disease, and served on the Board of Trustees and on the Executive Committee of Baltimore Medical System, a multi-site Federally Qualified Health Center in Maryland. She has also served on numerous other national and state committees, advisory groups, and boards, including Maryland’s Medicare Waiver Performance Measurement Workgroup and Consumer Health First. Dr. Shea’s service career started in the Peace Corps in Liberia. She holds degrees in Economics, Management and Public Policy. Rabbi Charles L. Arian is the rabbi of Kehilat Shalom synagogue in Montgomery Village, Maryland. He is a board member of the Jewish Community Relations Council and the Hoya Hoop Club, a former board member of the Interfaith Conference of Metropolitan Washington, and a co-convenor of the Gaithersburg-Germantown Interfaith Alliance. Rabbi Arian grew up in Brooklyn, New York and Hazlet, New Jersey. He earned his Bachelor’s of Science in Foreign Service at Georgetown University, Washington, DC, and his Master’s degree and Rabbinic Ordination at Hebrew Union College, Cincinnati , OH. He earned a Certificate in Jewish Educational Technology from the Jewish Theological Seminary in 2017. Rabbi Arian was a Legacy Heritage Rabbinic Fellow at the Jewish Theological Seminary and a Rabbis Without Borders Fellow at CLAL. In May of 2011, he received his Doctor of Divinity, honoris causa, from Hebrew Union College and a second Doctor of Divinity, honoris causa, from the Jewish Theological Seminary in 2015. Previously, Rabbi Arian was the Jewish Staff Scholar at the Institute for Christian and Jewish Studies in Baltimore, MD. He has also served as rabbi of Ohev Sholom Synagogue in York, PA, and as a Hillel Rabbi at American University and at the University of Virginia. He has published a number of journal articles, was the co-author of the entry “Christian –Jewish Dialogue” in the new Encyclopedia of Christianity, and served as a distinguished guest lecturer at Iona College in New Rochelle, NY, and Sacred Heart University in Fairfield, CT.
Shari is currently a contractor with Prince George's County Department of Social Services as the ACA (Affordable Care Act) Program Manager. She is responsible for management oversight and implementation of the communications, outreach, education and enrollment efforts to realize health insurance coverage for the County’s uninsured and underinsured residents. She is also co-chair of the Health Equity Workgroup under the Prince George’s County Health Action Coalition; and, in the District of Columbia, serves as a commissioner on the Mayor’s Council on Physical Fitness, Health, and Nutrition. Previously, Ms. Curtis worked at the DC Primary Care Association (DCPCA), and was also a team lead on the National Diabetes Education Program, funded by the National Institutes of Health, and served as Senior Account Executive for Hager Sharp, Inc.
Shari brings more than 35 years of senior management experience directing health education programs, public outreach campaigns and workforce development initiatives. She pursued graduate studies at Montclair State University in Organizational Development/Communications and received her BA in Urban Planning and Elementary Teacher Education. Adrienne Ellis is principal, at Ellis Policy and Planning, and has more than 6 years of behavioral health policy experience, including thorough knowledge of behavioral health financing, both public and private payers. Adrienne has developed firsthand knowledge on the challenges with access to behavioral health services through her work at the Mental Health Association of Maryland (MHAMD) where she led research and drafting of MHAMD’s report “Access to Psychiatrists in 2014 Qualified Health Plans,” and the resulting legislation passage ensuring stronger network adequacy standards in Maryland. In her work at the MHAMD and the National Council for Community Behavioral Health, Adrienne trained and empowered behavioral health consumers and providers to understand complicated insurance regulations and worked to improve mental health and addiction policy at the state and federal level. Adrienne also has government contracting experience, serving as the Task Lead on the SAMSHA Parity Policy Academies. Previously Director of the Maryland Parity Project, she also served as the Maryland Behavioral Health Coalition's point-person on healthcare reform and financing issues, including serving on numerous committees, representing the behavioral health community in the larger healthcare landscape. Adrienne has represented the interests of behavioral health consumers at both the state level: co-chair of the Standing Advisory Committee to the Maryland Health Benefit Exchange, as a member of the Maryland Health Information Exchange Policy Board and the Health Services Cost Commission Care Collaboration Workgroup, DHMH’s Dual Eligible Care Delivery Workgroup, and the Maryland Health Care Commission’s Provider/Carrier Workgroup and at the national level: a consumer representative to the National Association of Insurance Commissioners and the Addiction Policy Working Group. 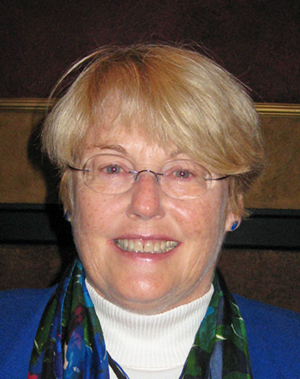 Leni Preston was one of the founding members of the Maryland Women’s Coalition for Health Care Reform in 2006. She served as Vice Chair until 2010 when she took over as the Chair and volunteer Executive Director, and led the transformation of the Coalition and the establishment of Consumer Health First. She has created a collaborative state-wide model, informed by solid health policy, which has resulted in a positive impact on the lives of hundreds of thousands of Marylanders. Thanks to her, Consumer Health First is now poised to be seen as the lead health policy and advocacy organization in Maryland. Leni has served on numerous committees, including the Maryland Health Benefit Exchange’s Standing Advisory Committee and as Chair of the Health Services Cost Review Commission’s Consumer Engagement Task Force. In 2015, Families USA recognized her achievements with its prestigious Consumer Health Advocate of the Year Award. Prior to forming the Coalition she worked professionally in the museum field. She then founded the firm of Preston & Associates, which consulted with museums and nonprofit organizations on strategic planning. She also applied her planning skills to the area of grassroots political advocacy. In 2005, with three other women from Montgomery County, Maryland, she created the Grassroots Political Action Toolkit. This was designed to provide tools and resource materials for those new to the political and advocacy fields. Throughout both her professional and volunteer careers she has been committed to educating, engaging and empowering others. Ben Turner is a Program Director at the Primary Care Coalition of Montgomery County (PCC), responsible for projects that reduce disparities in health outcomes through innovative collaboration across sectors: health care, social services, business, and faith-based. Among his projects, he leads performance management for Connector programs in Montgomery and Prince George’s Counties, supporting Affordable Care Act enrollment and education. In this role, he provides data management and analysis, program evaluation, strategic planning, and development of new education tools. Ben’s work is centered on health equity for low-income families and immigrant communities. His experience includes work as a community organizer, at a safety-net clinic, and in policy advocacy for national immigration reform. He holds a Master’s in Public Policy from Georgetown University with a focus on local safety-net health care systems. Ellen Weber is the Vice President for Health Initiatives at the Legal Action Center, a law and policy organization whose mission is to fight discrimination against individuals with histories of addiction, HIV/AIDS, or criminal records, and to advocate for sound public policies in these areas. Ms. Weber leads the Center’s efforts to expand access to comprehensive and equitable substance use treatment at both the state and federal levels. 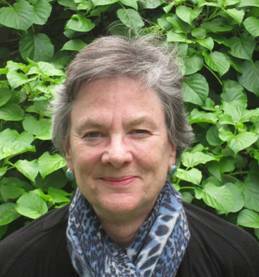 Ms. Weber had worked at the Center from 1985 to 2002, during which time she conducted disability rights litigation, established the Center’s D.C. office, and led the Center’s national policy work. She led the field’s efforts to obtain protections for persons with substance use disorders under the Americans With Disabilities Act, participated in the first round of national health care reform legislation and advocated for a more balanced federal budget for the prevention and treatment of substance use disorders. Ms. Weber held an appointment on the faculty of the University of Maryland Carey School of Law from 2002 through mid-2017, where she established and directed the Drug Policy and Public Health Strategies Clinic. She worked with students on disability rights litigation and legislative advocacy, health care reform and Parity Act implementation in Maryland and harm reduction legislation to address the opioid epidemic. Ms. Weber has published in the areas of disability rights, women’s health issues, integration of substance use disorder treatment in primary care and the enforcement of the Parity Act. Ms. Weber started her career in 1980 as a trial attorney in the Civil Rights Division of the Justice Department, where she litigated cases to enforce the Voting Rights Act. She graduated from Dickinson College and New York University School of Law.